The 3,300-acre Dorothy Warnell Research, Education and Demonstration Forest was deeded to the University of Georgia by sisters Dorothy Warnell and Carolyn Warnell Bryan. The property provides a working forest where sustainable forest management is both practiced and demonstrated. The upland maritime forest is located in the yard surrounding the Mary Kahrs Warnell Forest Education Center. 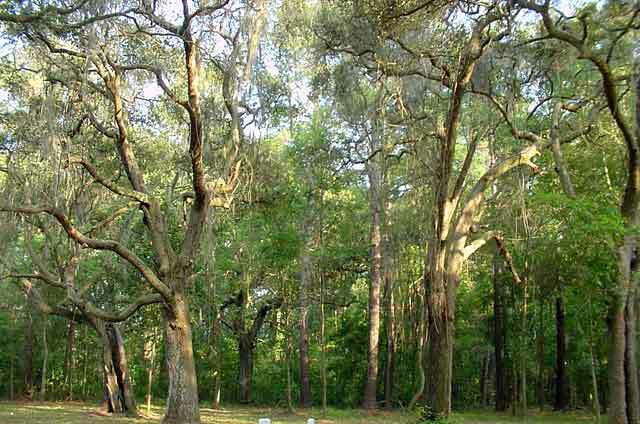 Large live oak trees that are shrouded by Spanish moss characterize this forest. 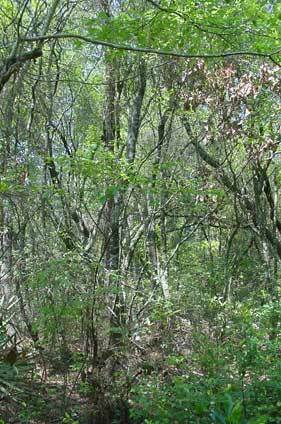 Among the oaks grow longleaf, slash and loblolly pine trees, magnolia, cherry, maple and holly trees. Gray squirrels, a variety of woodpeckers and songbirds, wild turkey, bobwhite quail and the occasional white-tailed deer or gray fox can be seen in this habitat. The bay forest is located west of the Center. It is the wettest habitat found on the Dorothy Warnell Research, Education and Demonstration Forest. 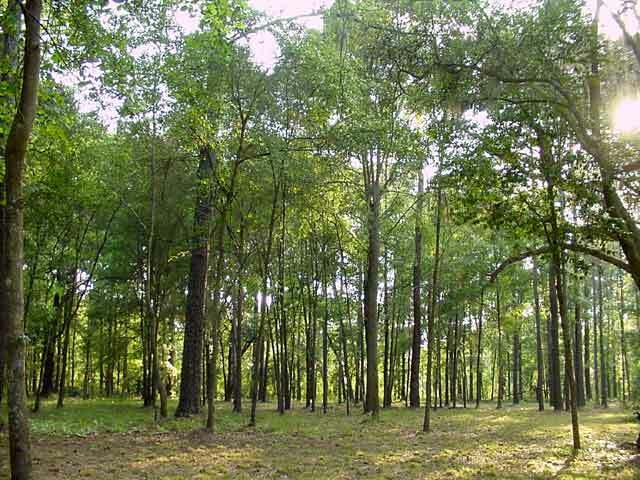 The overstory is comprised of loblolly bay, sweetbay magnolia, black tupelo, and pine while the understory is made up of buckwheat tree, gallberry holly and saw palmetto. The soil in this area is mucky and black, due to the large amounts of organic matter and standing water. 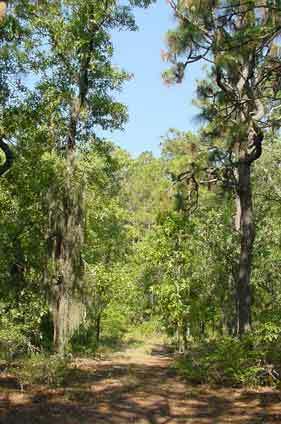 The longleaf pine forest is located north of the Center. 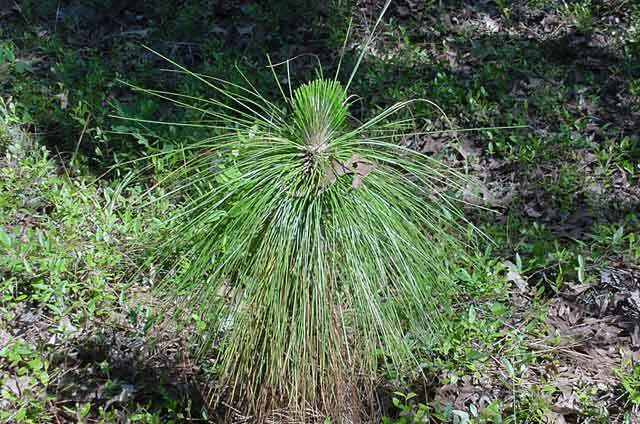 Longleaf pine trees form a canopy above scrub oaks like turkey oak. Saw palmettos, wiregrass and reindeer moss grow on the forest floor. 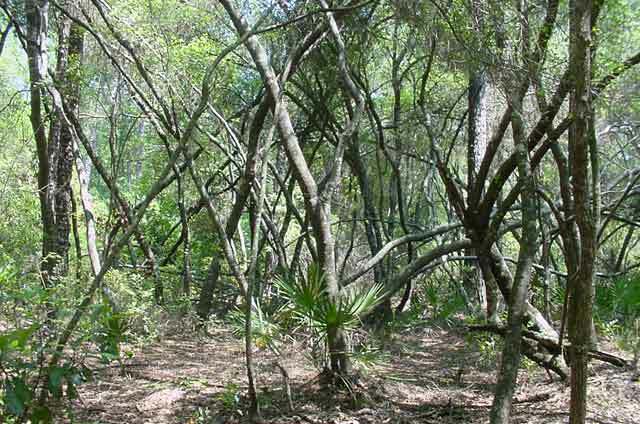 This forest is home to a variety of wildlife, including the Georgia State reptile, the gopher tortoise. 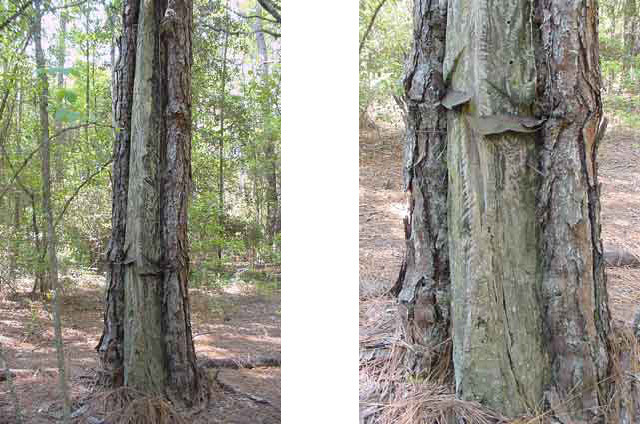 Several of the longleaf pine trees in this area remain from when the property was in turpentine production; these trees are recognized by the 'catface' cuts on their boles.